I agree with much that you have to say about the harmful effects of the spending power. On the other hand, saying something is harmful is not the same thing as saying that it is illegal or unconstitutional. In particular, I note that a lot of people seem to think that federal spending under the spending power is by definition excluded by the constitutional division of powers. But if we actually read the language of the constitution, we quickly see that it is very very precise as to what it says: the power distributed by the constitution to the provinces and to Ottawa is the power to *legislate*. Ottawa may not *legislate* in areas of exclusive provincial jurisdiction. But spending is not legislating. 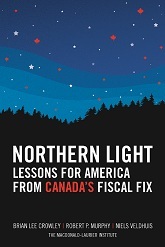 Ottawa does not use the spending power to legislate in areas of provincial jurisdiction. It uses the spending power to make gifts (with or without conditions attached) to people or organisations or provinces, something one can reasonable argue is not excluded by a distribution of legislative powers. Gifts may be refused, and indeed Duplessis famously refused federal money for many years. The provinces moan continuously about the spending power, but they have the means to get rid of it: their exclusive right to legislate in their areas of jurisdiction. They may legislate out of existence the federal spending power intrusions into their jurisdiction by passing a law saying that no person or organisation or institution on their territory shall take money from Ottawa for e.g. educational purposes. But they donâ€™t do this. Why? Because they want the money. The alternative, of course, would be to appeal to the courts to have the spending power ruled unconstitutional. But they donâ€™t. Why? because they know the courts almost certainly will not agree â€” otherwise the provinces would have had this shut down years ago. Finally, why does everyone only moan about the federal spending power? By what constitutional head of power do Quebec and other provinces maintain what are clearly foreign representative offices abroad? Why can Quebec give grants to other provinces for e.g. French-language education purposes without anyone saying a word, when this is surely just as offensive as Ottawa spending in provincial areas of jurisdiction? Provinces are happy to use their spending power for their purposes when it suits them. For what it is worth, I think people getting all exercised about the spending power is a mistake. I think it is constitutionally legitimate, and the courts have never disagreed. If the provinces thought they had a case, they would have had it ruled out years ago. They donâ€™t try because they know they wonâ€™t win. The issue is that it is misused, like many other federal powers. But if we think the feds spend wastefully and stupidly on e.g. defence, we donâ€™t clamour to have their defence power taken away. We clamour for them to smarten up and fly right. IMHO it should be the same for the spending power.